Built in 1516 on the foundations of a previous church dedicated to S. Martino. After the old Baptistery was knocked down in 1555, it took over the name and role of that building. 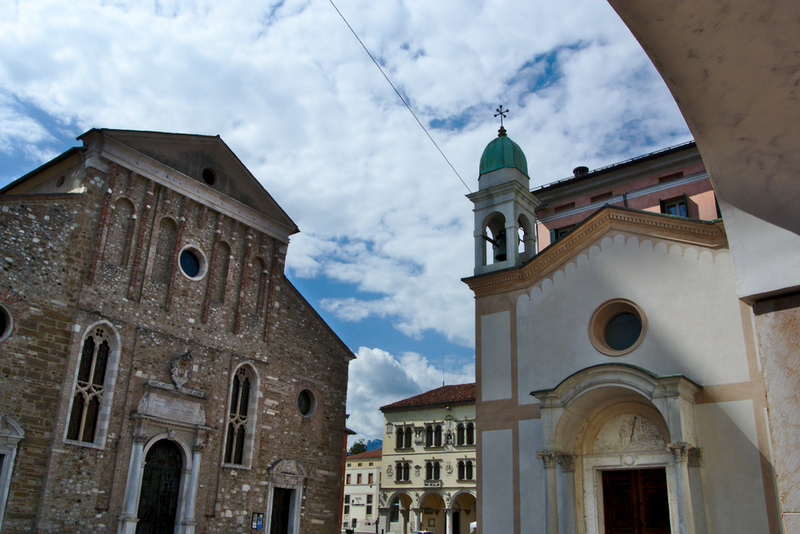 The earthquake of 1873 destroyed the nearby S.Andrea’s church, from which comes the fourteenth century Madonna delle Grazie. Inside, on the baptismal font, there is S. John the Baptist by Andrea Brustolon (1662-1732).